Located in a historic neighborhood in Los Angeles, the architects behind A.F. 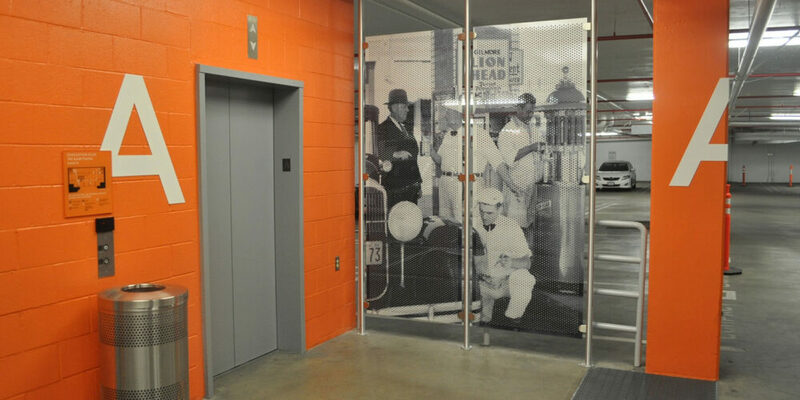 Gilmore Company Parking Garage wanted to incorporate the rich history of the city into the design to enhance the guest experience. 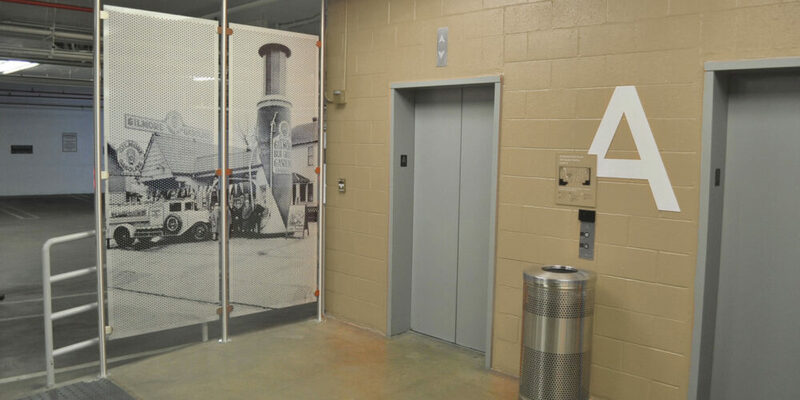 The elevator landings on each floor of the garage provided an ideal opportunity to subtly incorporate the neighborhood’s story through historic imagery. As an active parking garage, the architects needed a durable material that would withstand frequent use and the test of time. 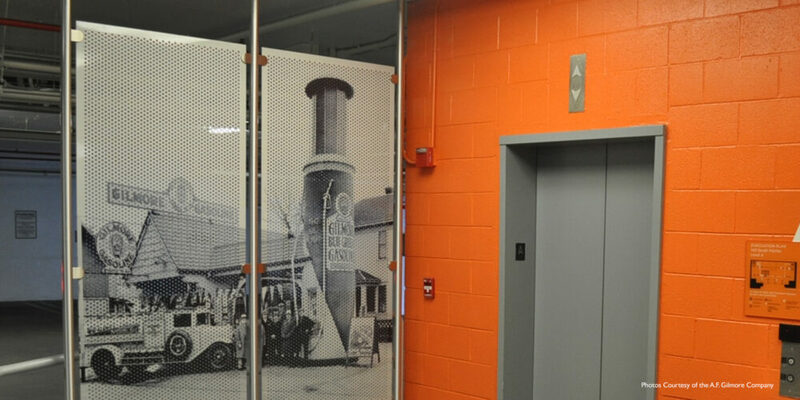 Móz Designs’ metal products provided the perfect solution. 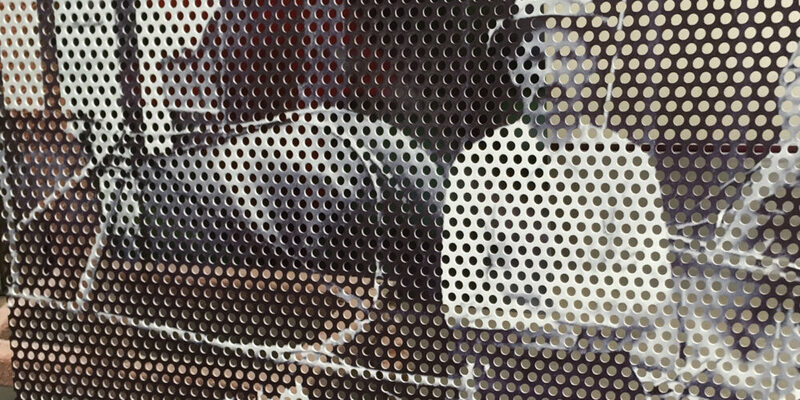 Móz selected perforated dividers as the primary product and layered in the client’s custom digital images to create a unique visual story. 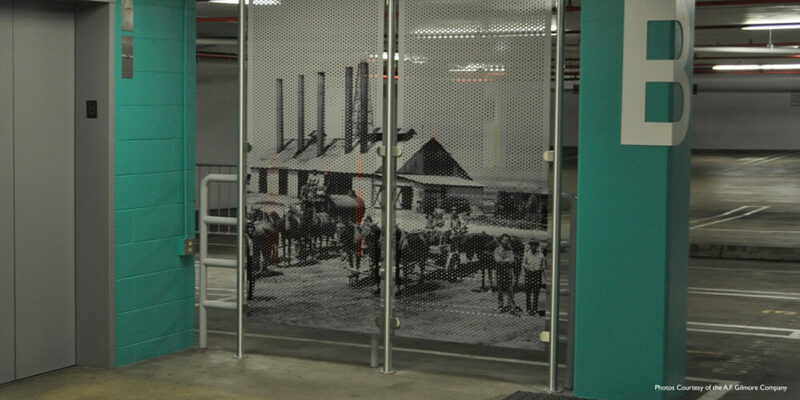 Móz juxtaposed the industrial setting with vintage prints of farm equipment using a combination of digital imagery and perforated aluminum dividers. Before entering A.F. 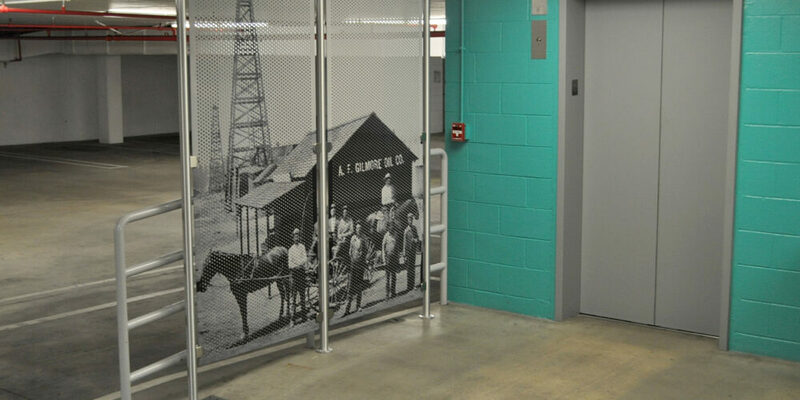 Gilmore Company’s corporate offices, guests are greeted with a striking multi-layered partition that integrates city with country indicating the company’s dynamic history and impact in the local industry.